Want to learn the most natural way on how to get more followers on Instagram? 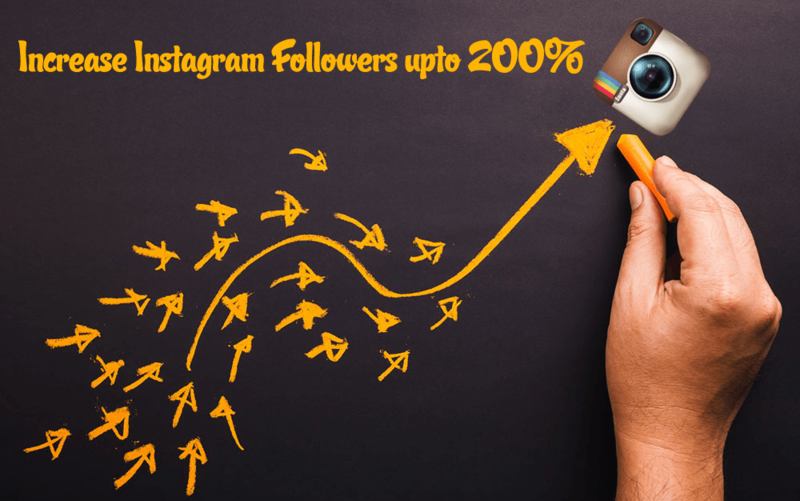 This post has a simple workaround that will increase Instagram followers to 200% or even more. Instagram is a popular photo and video sharing service access by the people all across the globe. Every single user on Instagram want more and more followers, but the question how? This service is all about getting attention, the more you get, the more engagement you will gain, and as a result more follower you will earn. There are various methods which Instagram user employ to increase engagement with their profile. In this blog post, I’m going to share a workaround that is going to increase Instagram followers and profile attention up to 200% or even more. While using Instagram did you ever notice the multi-color circle all around the profile picture of Instagram users? It is an Instagram Story icon, in most of the cases, users tap on this icon (Appear in the Instagram feed) to find out what it is in the Instagram story. As you’re using the fake circle, it will take users to your profile instead of your Instagram story. At last, when they see your impressive profile with lots of good stuff, they will be left with no choice but to follow you. If you’re wondering where you’re going to get those fake circles? Visit here, and download the zip file, it has all of them. There are six fake circles to choose from, select any out of them. To create a fake profile picture all you have to do is to download any fake circle. After that open both profile picture and fake circle in photo edition programs like Photoshop. At last use, the basic skills to create fake profile picture looks similar to story profile picture. Once done, set it as a profile picture. After doing this keep updating your profile picture regularly with good stuff and I bet you will get engagement boost up to 200 % and in return more followers. I hope you find my this blog post on how to get more followers on Instagram useful. If you have any other better trick to gain more followers, share it in the comments.